Computers & Applied Sciences – A full-text database. Topics: Computer Science. You can use the DB at the library or at home. EBSCO host – DB package for full text articles, offered to Lithuania as an EIFL project participant. Topics: humanities, social sciences, medicine, health care, etc. You can use the DB at the library or at home. Emerald Insight – A database of full text scientific journals. Topics: This database includes full-text journals for business, management, marketing, information and communication sciences. You can use the DB at the library or at home (you must first log in when you are on a VK with a PC, and then you can log in from any IP with the same data). 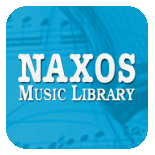 The content of the NAXOS Music Library database includes classical, jazz, rock and other genres of musical genres, recordings of world-famous sound recordings, artist biographies, dictionaries, interactive music courses, research papers, etc. You can use the DB at the library and at home. You can find your password in the Moodle environment in the Library section. Passport is a business information database that provides statistics, research reports and forecasts for various industries, countries and consumers. Virtual Assistance (English) You can use the DB at the library and at home. 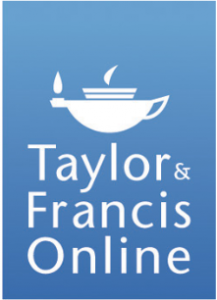 Taylor & Francis Online – A database of full text scientific journals. Topics: humanities, social sciences, medicine, health care, etc. You can use the DB at the library or at home (you must first log in when you are on a VK with a PC, and then you can log in from any IP with the same data). Acland’s Video Atlas of Human Anatomy – contains nearly 330 videos of real human anatomic specimens in their natural colors. Dr. Robert Acland presents moving structures—muscles, tendons, and joints—making the same movements that they make in life. The videos show complex structures step by step—from bone to surface anatomy—to provide a foundation for understanding anatomical structure and function. You can use the DB at the library. Testing DB is not currently available. Electronic resources of Institute of Hospitality. 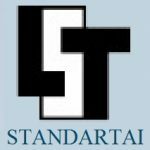 Standards of the lithuanian standardization department (search through the library’s e-catalog). Access to full text standards is only available from the VK Internet Network when logged in with your data.